Blouberg offers some of the best views of Table Mountain from across Table Bay. The wind can be pretty epic but locals use it to their advantage; this is the centre for kitesurfing and windsurfing in Cape Town. In addition to all the seaside action, this incredible coastal neighbourhood has a lot to offer. Here’s where to head when checking out Blouberg. 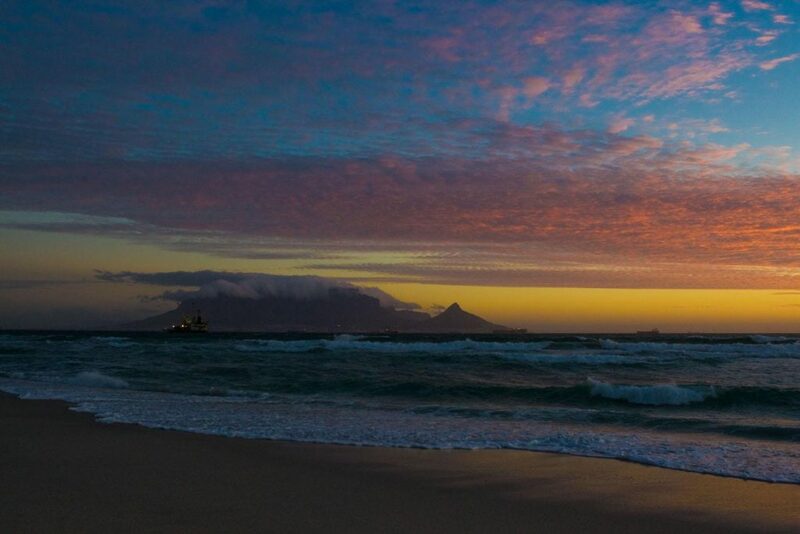 Bloubergstrand is divided into two beaches – Big Bay and Little Bay. Big Bay is a long stretch of beach that is popular with kitesurfers due to the epic wind that you can find in the area. It’s also a great family beach – perfect for lazy walks with the kids. Little Bay is popular with those looking to picnic and braai. There’s a lawn-covered braai area, and kids can explore the nearby rock pools. If you’re looking to combine environmental education with a bit of braaing and chilling then Eerste Steen is your best bet. This braai and picnic area is part of the Blaauwberg Nature Reserve. This reserve is home to 559 plant species, 45 mammal species, 30 species of reptiles, 30 species of butterfly and 169 bird species, so it’s the perfect place to visit if you want to see the local flora and fauna. The building that houses this restaurant is a heritage site that has been part of Blouberg’s history for over two hundred years. Once home to Frederick Louis Stadler, after whom Stadler Road is named, these days it offers a selection of seafood and a splendid view of the bay. If you’re looking for somewhere to get sushi then you have to head to Blowfish Restaurant, situated in the Dolphin Beach Hotel. It also has a seafood counter that allows you to create your own seafood platter, making it the perfect choice for people who want a little of everything. Often simply known as ‘Blue Peter’ after the hotel that houses the restaurant, this spot is a must-visit when heading to the area, legendary among Capetonians for being the perfect place to have a drink while watching the sunset. The Lower Deck Bistro offers a great pub-style atmosphere and menu, while upstairs has a more classic restaurant feel with steaks and seafood on offer. 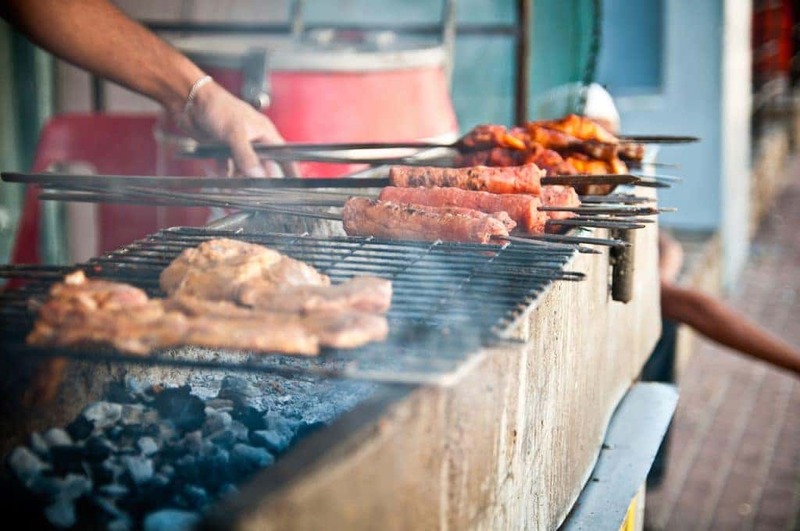 The Moyo brand is synonymous with a high-end African dining experience. The décor, entertainment and menu all serve to create a unique ambience that makes for memorable night out.The food draws inspiration from the whole African continent and caters for all tastes and dietary preferences. 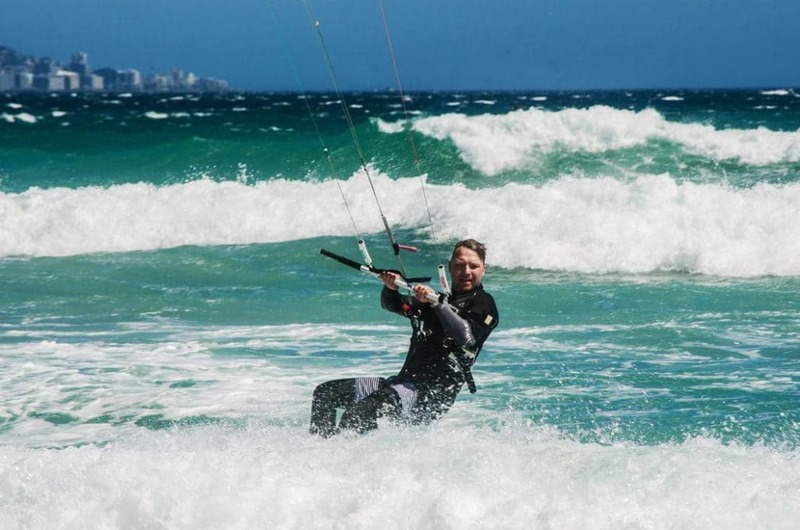 While the epic wind that hits Blouberg might destroy your picnic plans, it’s perfect if you want to strap yourself to a giant kite and hurtle across the waves. Kitesurfing has really grown in South Africa over the last few years and Bloubergstrand is one the best places in Cape Town to pursue this fast-paced sport. Coastline Kitesurfing offers IKO certified lessons, with 1-4 day courses available. Studio 46 is a gallery that exhibits an eclectic mix of works from local artists, jewellery designers, photographers and sculptors.It’s run by a mother and daughter team and is a must-visit for those looking to explore some of the West Coast’s art and culture. Billed as the place where the ‘it’ crowd congregates, Club Lenin is a sports bar, diner and nightclub all in one. It’s right on the beachfront so it’s the perfect place to unwind after a day of kitesurfing. They also host regular music events so check out their social feeds for upcoming parties. You’ll notice the pyramidal Dolphin Beach Hotel as soon as you enter Blouberg. The hotel offers a perfect view of Table Mountain and has direct access to the beach – so you’ll be able to walk down from straight from your room. Choose from sea-facing apartments, lagoon-facing apartments or the popular beach cabanas. If you’re looking for more low-key accommodation that’s affordable but doesn’t skimp on comfort then give SaltyCrax a try. It’s close to the beach, offers a variety of room options and has a great entertainment area where you can mingle with other guests. If you’re looking for somewhere a bit more cosy then try Merle’s Place, a self-catering holiday apartment that accommodates four people. It’s a great base to explore the West Coast from, has its own braai facilities, and a private balcony where you can watch the sun set. Nobody knows Blouberg better than a local. When you’re in town be sure to visit the local VIC in Burg Street where staff can help you really uncover the magic on offer in Blouberg and beyond. Whale watching in Cape Town: All you need to know!